TAPE HEADS : Audio + Video Cassette Fair! FRIDAY DECEMBER 15th!! 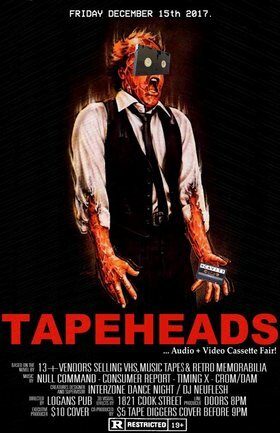 A night of Weirdos selling VHS, Music Tapes, BETA, Retro Memorabilia & MORE! + INTERZONE DJ NEUFLESH playing 80s Minimal Synth all night! Expect Lasers, Video Mix tape Projections, Classic Video Games on TVS + PILES & PILES OF TAPES! !